Home>>Runescape News>>Lore and History Section...Zaros! 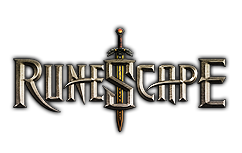 I'm pleased to announce that we have a brand-new section on our website, consisting of the History and Lore of RuneScape. Ideally, this section will contain all sorts of information about Gielinor's past, deities, and lots of other interesting tidbits about the history of our favourite MMORPG. To start this section off, we have a new guide on Zaros, with all sorts of detailed information about this dark god. A huge thank you goes to Helm Lardar for sharing this awesome guide with us! We always need guide writers too, so if you're interested in writing for us, I invite you to sign up for a free account on our forum and check out the Website Content Submissions section for more information.